Address to the Universe ! : 'Saheb's Unfulfilled Dream: Shiv Sena Outside Maharashtra. This month will see the first death anniversary of Shiv Sena supremo Balasaheb Thackeray. Before departing at the age of 86 years, he had seen at least one of his dreams fulfilled-saffron flag at Maharashtra’s legislative assembly. Shiv Sena managed to attain power once in 1995 by winning assembly elections in partnership with BJP. After adopting the ideology of Hindutwa in the decade of 80s Bal Thackeray also hoped to see his party spreading out of Maharashtra and eventually becoming a national party, but the efforts in this direction were half hearted. Shiv Sena’s adoption of Hindutwa ideology & Bal Thackeray’s personal charisma appealed to numerous youngsters outside Maharashtra, especially in Hindi speaking states like Uttar Pradesh, Delhi, Rajasthan & Jammu & Kashmir. Shiv Sena also displayed it openness for non Maharashtrians by launching a Hindi newspaper “Dopahar Ka Saamana” in 1993 and organizing “Uttar Bhartiya Mahasammelan” at Mumbai’s Andheri Sports Complex in 1996. The maximum success of Shiv Sena outside Maharashtra was seen in Uttar Pradesh, where the party was able to win one assembly seat in 1991. A local ganglord Pawan Pande got elected as MLA from Akbarpur seat on Shiv Sena’s ticket. Shiv Sena also made strong presence in corporations of Lucknow, Meerut, Varanasi, Akbarpur, Baliya & Gorakhpur. However, the success didn’t continue for long. Pawan Pande who was the key for Shiv Sena’s operations in Uttar Pradesh lost his seat in the next elections. Notorious gangster of Uttar Pradesh Shriprakash Shukla belonged to his gang. When Mayawati became Chief Minister of U.P, she started targeting her political opponents who were having criminal records. Pande being a history sheeter & boss of gangters like Shukla had to run away from U.P to escape Mayawati’s tirade. Pande’s absence affected Shiv Sena’s progress in U.P. After escaping from U.P, Pande settled in Mumbai & opened a dance bar in Juinagar area of Navi Mumbai. However, in Mumbai also Pande was booked for his notorious activities & was arrested. He also had differences with Sanjay Nirupam whom Shiv Sena had made Rajya Sabha MP & relied upon for expansion in North India. Nirupam got an opportunity to sack Pande from the party on the basis of his criminal record. With sacking of Pande, Shiv Sena crippled in Uttar Pradesh. 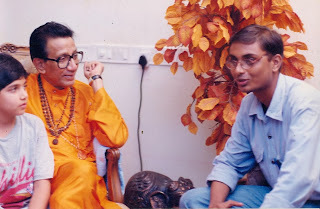 Although, Shiv Sena contested assembly elections thrice in U.P in the decade of 90s, Bal Thackeray never personally went to the state for political campaign. He never visited Uttar Pradesh on the pretext that there was intelligence input indicating threat to his life. The only time he visited Lucknow was to attend a court hearing in Babri demolition case. Pawan Pande joined BSP after getting booted out from Shiv Sena. Although, BJP leaders were never vocal about it, but they feared that growth of Shiv Sena outside Maharashtra could damage the voters’ base. Unlike UP, Shiv Sena never managed to win a single seat in Delhi assembly, but the party’s state unit was often in news for its activities. When Bal Thackeray announced his ban against playing of Pakistani cricketers in India, his party workers dug up pitch of Phiroze Shah Kotla Maidan in January 1999. Shiv Sena workers also punctured tyres of buses plying between India & Pakistan which were launched by the governments of both the countries to foster peace efforts. In year 2000 Ajay Shrivastava who belonged to Bhartiya Vidyarthi Sena (Student’s wing of Shiv Sena which was then headed by Raj Thackeray) became famous by bidding on Dawood Ibrahim’s property in an auction organized by the Income Tax Department. Last year Shiv Sainiks attacked Yaseen Mallik when he came to Delhi after hanging of Afzal Guru & also vandalised a programme of Pakistani sufi singer. Although, such activities by Shiv Sainiks of Delhi attracted good news space in television channels & newspapers, they were never able to fetch votes for the party. Jaibhagwan Goyal, Ajay Shrivastava & Mangatram Munde were some of the founding members of party’s Delhi state unit. However, they fought amongst themselves. Like UP, Bal Thackeray also never visited Delhi for political campaigning. 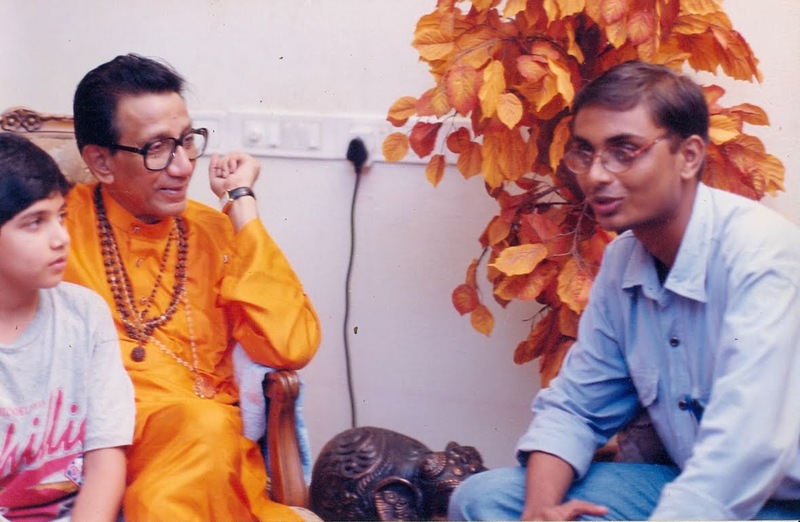 In March 1999 a grand rally was organised in Talkatora stadium of Delhi to felicitate Bal Thackeray, but instead of coming himself, Bal Thackeray chose to send his son Uddhav. Uddhav was not even the working president of the party at that time. Bal Thackeray’s avoidance to visit Delhi inspite of repeated requests led to discouragement of state party workers. Shiv Sena’s adherence to Marathi issue on and off post 2004 also led to disillusionment of workers in Delhi. A large number of Shiv Sainiks in Delhi belonged to Bhartiya Vidyarthi Sena of Raj Thackeray, but when Raj Thackeray chose to quit Shiv Sena & raise his own party, his followers in Delhi too didn’t see any sense in continuing with Shiv Sena. However, they were unable to follow Raj because Raj chose to confine activities of his new party MNS only within the state of Maharashtra. Ajay Shrivastava ceased to be an active member of the party & Jaibhagwan Goyal also left Shiv Sena due to differences with senior leadership in Mumbai. There was an opportunity for Shiv Sena in the state of Gujarat when Shanker Singh Waghela revolted from BJP. After defecting from BJP Waghela established his own political party, but before that he made an offer to Shiv Sena. Waghela sent a message to Bal Thackeray that he wished to join Shiv Sena alongwith his supporters. However, the offer was declined by Bal Thackeray who didn’t want to disturb Shiv Sena’s relation with ally BJP. Moreover, Thackeray was sceptical that his party will do well in Gujarat as Shiv Sena had acquired an anti Gujarati image during the initial years of its formation. Like Delhi, Shiv Sena has no presence in Rajasthan’s legislative assembly also. However, during last local self government elections in 2010 party was able to win 2 seats in Nagor municipal council & 7 seats in Ganganagar municipal council. Recently Shiv Sena’s youth wing got a boost when it won the presidentship of students’ council in Udaipur University. It also managed to win student council seats in Jaipur & Bharatpur universities. Although, Shiv Sena has been fighting assembly elections in Rajasthan since 1998, Bal Thackeray never visited the state to address any political rally. It was only in 2003 elections that Uddhav Thackeray came for the campaigning. Shiv Sena’s Hindutwa rhetorics attracted some followers in Jammu also. A Shiv Sena candidate got elected as a corporator during last civic elections in Jammu. Although, Shiv Sena aspires to be a multistate party, it is struggling to keep itself strong at the home turf-Maharashtra. MNS of Raj Thackeray is directly threatening the survival of party in the state. Damage done by MNS during 2009 assembly & parliamentary elections led the political experts to conclude that Shiv Sena’s very existence is in danger. However, Shiv Sena managed to do the damage control by retaining Mumbai municipal corporation in 2012. Although, Shiv Sena is now fielding candidate’s in Rajasthan & Delhi assembly elections, results of assembly & parliamentary elections next year in Maharashtra will truly indicate the party’s future. "tanSEN was bengali my dear friend, so were a lot of other people! want to see the entire list as it stands today? so was subash chandra bose and sri aurobindo :) and i can name a million others and i am proud to say our greateness can be exerted beyond our national borders. we are the fifth largest speakers! डाईबिटीज: 200 साल जीने का वरदान !! !